Savvy, deep-pocketed foreign conglomerates could challenge a broad range of laws we pass at every level of government,” said United States Senator Chuck Schumer (D-NY) on the Trans-Pacific Partnership (Weisma). The trade agreement is a cornerstone of President Barack Obama’s economic agenda for his second term in office. The agreement faces tremendous criticism from many Democrats and progressives. Collectively, they claim that this deal would be damaging to U.S. sovereignty, that it expands the ISDS (investor-state dispute settlement), and it adds new substantive rights to foreign companies and investors. All of which many say would hurt the U.S. economy, damage the environment, roll-back human rights, and destroy privacy. The trade agreement would grant broad powers to multinational companies and investors operating in North America, South America, and Asia. Under the agreement, companies and investors would be able to challenge any regulations, rules, government actions and court rulings – federal, state or local – that they do not agree with before tribunals organized under the World Bank or the United Nations (Weisma). Importantly, two weeks ago the negotiators reached an agreement, and now, we all must continue to wait for the full details of the agreement to be released. The New York Times predicts that it may take another three to four months for Congress to enact the agreement (Lee). However, under the “fast-track” legislation, it ensures Congress will only be able to vote yes or no and not debate it. This legislation was pushed by the Obama administration. Thus, the public cannot see the agreement or know what is in it. Not to forget that all of the negotiations were done in secret. However, Congress should pass it without debating it. This is not democracy. The following includes information provided through Senators, Representatives, and leaked documents. The trade agreement would grant foreign companies and investors rights that are not applicable to U.S. companies and investors, such as access to extrajudicial tribunals. These tribunals would be staffed by private sector lawyers. These lawyers can rotate between acting as “judges” and representing the governments who have conflicts of interest (Wallach and Beachy, pgs. 3-4). They have no public accountability and there is no requirement for tribunalists to be impartial. They also have no right to appeal. In addition, these tribunals can order governments to pay unlimited monetary compensation. Every asset that an investor owns or controls, directly or indirectly, that has the characteristics of an investment, including such characteristics as the commitment of capital or other resources, the expectation of gain or profit, or the assumption of gain or profit, or the assumption of risk (Wallach and Beachy, pg. 4). These new rights could mean more cases like the one in 2013, where Eli Lilly, a pharmaceutical company used a similar provision under NAFTA (North American Free Trade Agreement) to sue Canada for $500 million. Eli Lilly accused Ottawa, Canada, of violating its obligations to foreign investors by allowing Canada’s courts to invalidate patents for two of their drugs (Weisma). Agreeing to ISDS in this enormous new treaty would tilt the playing field in the United States further in favor of big multinational corporations. Worse, it would undermine U.S. sovereignty. The following is an example Senator Warren gave to describe the new powers of ISDS. Imagine that the U.S. bans a toxic chemical that is added to gasoline because it is harmful. If one company makes the toxic chemical and opposes the law, it would normally challenge the law in a U.S. court. However, with ISDS, that company could skip the U.S. court and go before one of the tribunals. If the company wins, the ruling could not be challenged in U.S. court, and the tribunal could require U.S. taxpayers to pay millions of dollars in damages. Unfortunately there is a growing number of ISDS cases. From 1958 to 2002, there were fewer than 100 ISDS claims in the world. In 2012, that number rose to 58 cases. Recently, a Swedish company sued Germany because Germany decided to phase out nuclear power after Japan’s Fukushima disaster. Philip Morris has even attempted to use ISDS to stop Uruguay from implementing their new tobacco regulations (Warren). This continues the great American tradition of corporations writing trade agreements, sharing them with almost nobody, so often at the expense of consumers, public health, and workers (Weisma). The Trans-Pacific Partnership is a cornerstone of President Obama’s economic agenda which faces tremendous criticism from his own Party. The agreement is enormous and could damage U.S. sovereignty, expands the ISDS, and it adds new substantive rights to foreign companies and investors. Many continue to say that this agreement could hurt the U.S. economy, damage the environment, roll-back human rights, and destroy privacy. Are you are Bernie Sanders supporter and wish to stand with him against the Trans-Pacific Partnership? 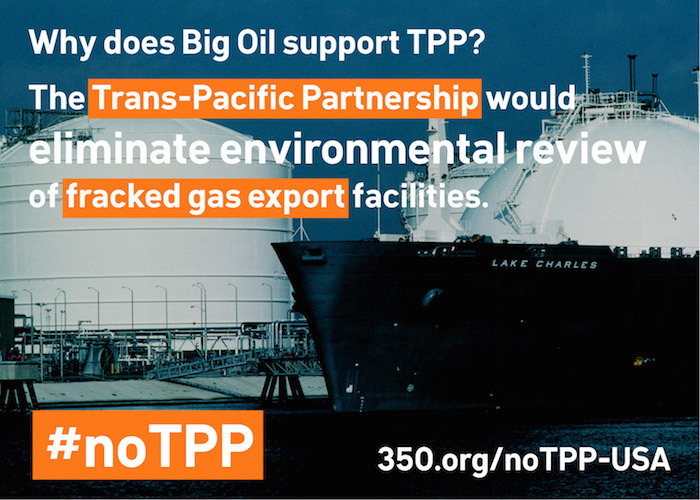 Are you against the Trans-Pacific Partnership but not a Bernie Sanders supporter? Lee, Timothy. “The just-completed Trans-Pacific Partnership deal, explained.” Vox.com Vox, 5 Oct. 2015. Web. 10 Oct. 2015. Wallach, Lori and Beachy, Ben. “Analysis of Leaked Trans-Pacific Partnership Investment Text,” Public Citizen (2015): 3-5 Print. Warren, Elizabeth. 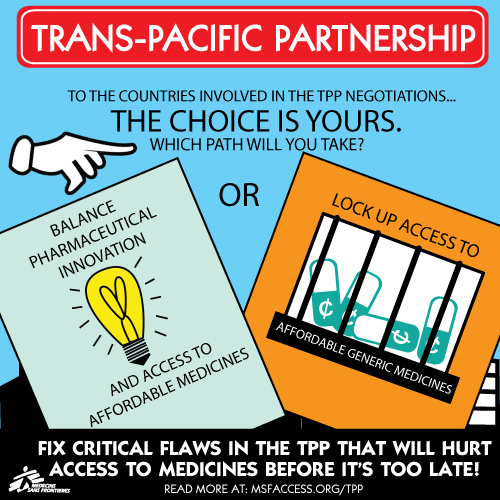 “The Trans-Pacific Partnership clause everyone should oppose.” Washingtonpost.com. Washington Post, 25 Feb. 2015. Web. 26 April. 2015. Weisma, Jonathan. 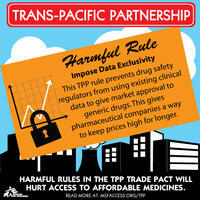 “Trans-Pacific Partnership Seen as Door for Foreign Suits Against U.S.” nyti.com. New York Times, 25 March. 2015. Web. 26 April. 2015. Previous We Need Medicare-for-all NOW!